Combine all ingredients in a medium size bowl. Stir until well-mixed. Using a spoon, scoop approximately 1 -1/2 teaspoons mixture and roll into a ball. 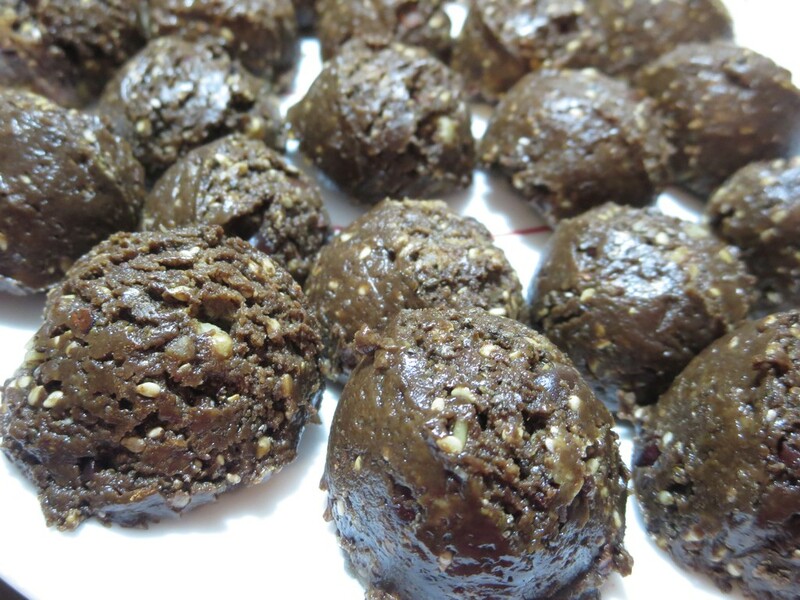 If you like, roll the balls in hemp seeds for a coating.